This painting three-quarter length portrait of Sir John Cordy Burrows in mayoral robes. His right hand rests on a pile of books on a desk. 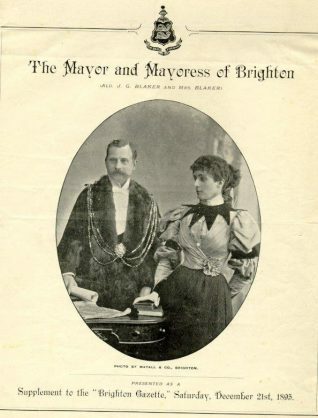 Mayor and Mayoress of Brighton, 1895: Alderman J.G. 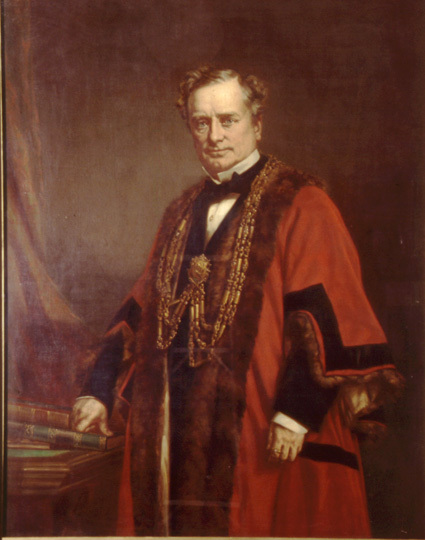 Blaker and his wife when Mayor and Mayoress. Cover page of a supplement to Brighton Gazette 21st December 1895.